Any US citizen who wishes to travel to Switzerland for any purpose other than tourism or business negotiations (e.g. work, study, adoption, immigration, or stays longer than stipulated in the entry requirements) should contact the embassy or nearest consulate directly. Permanent residents of the United States who are in possession of an actual green card, (not I-551 stamped in passport) who hold a national passport (not a refugee travel document or reentry permit) do not need a visa to enter Switzerland for a stay not to exceed 90 days. Both the green card and national passport must have at least 3 months validity remaining beyond your departure from Switzerland. Only residents of the United States who are not US citizens and have an F1 (I-20) or H1B visa may apply for a Swiss visa. If you have a B1 and/or B2 visa, you must apply in your country of residence. You must provide an original and a copy of each of the following documents. A valid passport or travel document. Must be valid for at least three months beyond the expiration date of the Swiss visa. Proof of residency in the USA (i.e., a valid F1 or H1B multiple-entry visa together with a valid “I” form or another appropriate form). Only original or notarized copies are accepted. A confirmed round-trip ticket to your home country or country of residence or proof of purchase of such a ticket (i.e., a ticket or written confirmation from a travel agency or airline indicating all flight itineraries, dates and payments). Open tickets are not accepted. If requested, a valid visa in your travel document for the country you are visiting after Switzerland. Proof of sufficient financial resources: a recent bank statement or a letter from your bank stating your current balance. 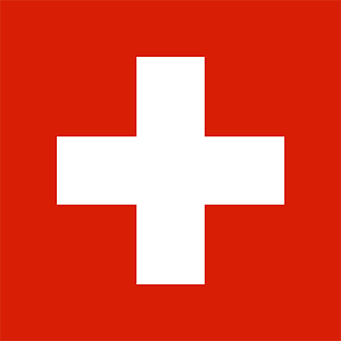 A minimum of $100 per day in Switzerland is required to cover expenses. PLEASE NOTE: Only residents of the United States who are not US citizens and have an F1 (I-20) or H1B visa may apply for a Swiss visa. If you have a B1 and/or B2 visa, you must apply in your country of residence. An application form which is fully completed and signed by the applicant: Applications which are not duly completed, dated and signed will not be accepted. A letter of invitation from the company in Switzerland and/or a letter from your company stating that you are going to Switzerland for business meetings and that they will pay for all your expenses. The visa fees must be paid when you apply. If the visa is denied or you decide to withdraw the application, a non-refundable processing fee of $44.00 will be retained from your payment. An additional charge of 50% of the regular visa fee will be required if the visa is issued on the same day.